Nick Cheung's washboard abs, in addition to his excellent portrayal of a former mixed martial art fighter in "Unbeatable", has inspired a lot of artistes, including his good friend Sandra Ng. UDN reported that the actress, who went to watch the advanced screening of the movie, was full of praises for Nick's performance and physique, and expressed her wish to shape up. Sandra expressed, "Nick risks his life in every movie. When he filmed "Nightfall", he trained so hard to the extent that people thought he was ill because he looked so thin. I saw how he suffered when training for this movie. I trained for a year to get into shape but have not been successful!" 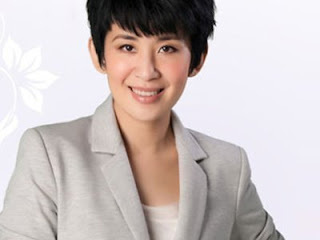 Revealing her intention to become the female version of Nick Cheung in "Unbeatable", Sandra joked, "If someone asks me to, I would be willing to do so. My husband [Peter Chan] has been very encouraging. He is also working hard on his training bike!" Meanwhile, former actress Chingmy Yau was also in awe of Nick's excellent performance, and stated that it made her want to act again.